The campaign was created by UK LGBT+ rights group Stonewall to kick homophobia out of sport. News 3 December, 2018 . Written by Peter Dunne . Doing their part to give homophobia in sports the boot, Premier League teams across the UK have emblazoned their Twitter profiles with rainbow colours. 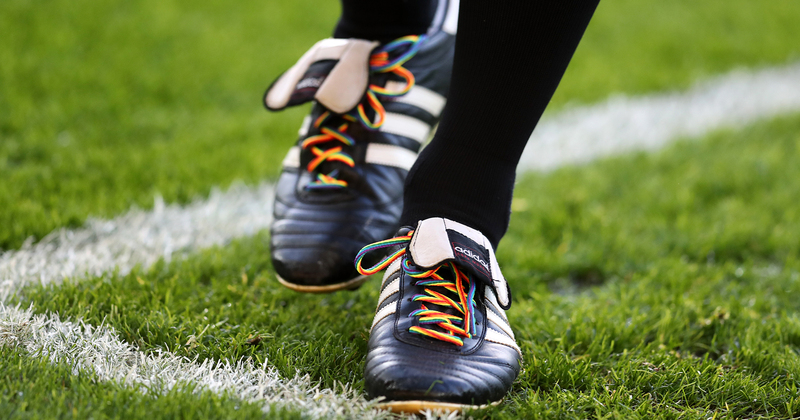 Players have also been spotted wearing rainbow coloured laces in a bid to makes sports more welcoming and inclusive of LGBT+ fans and sportspeople. The LGBT+ rights group, Stonewall, launched the initiative last month and so far, many clubs in the Premier League have proven to be very supportive. With the aim to “make sport everyone’s game,” both athletes and fans are encouraged to do what they can to be “active allies” for the LGBT+ community. To that end, clubs have been provided with resources on how to avoid homophobic language, hate speech and how to report instances of homophobia, biphobia and transphobia. We’re proud to support @Stonewalluk’s #RainbowLaces Campaign. Proving that the initiative is still very much necessary, one need only look at the reactions on Twitter to the Premier League’s supportive posts. Comments underneath are overwhelmingly negative, showing pictures of people vomiting, accusing the League of having an agenda and basically calling LGBT+ people sick and their supporters deluded. Great to see the homophobes out in force to prove why this campaign is needed. Football should be for all. Imagine being so insecure that you would have a problem with promoting that. The reactions caused the London Falcons club to post: “Great to see the homophobes out in force to prove why this campaign is needed”. Closer to home, Irish artist Brian Teeling recently launched fan wear to combat homophobia on the terraces while at the same time raising funds for BeLonG To and the Bohemian Foundation. 3 December, 2018 . Written by Peter Dunne .